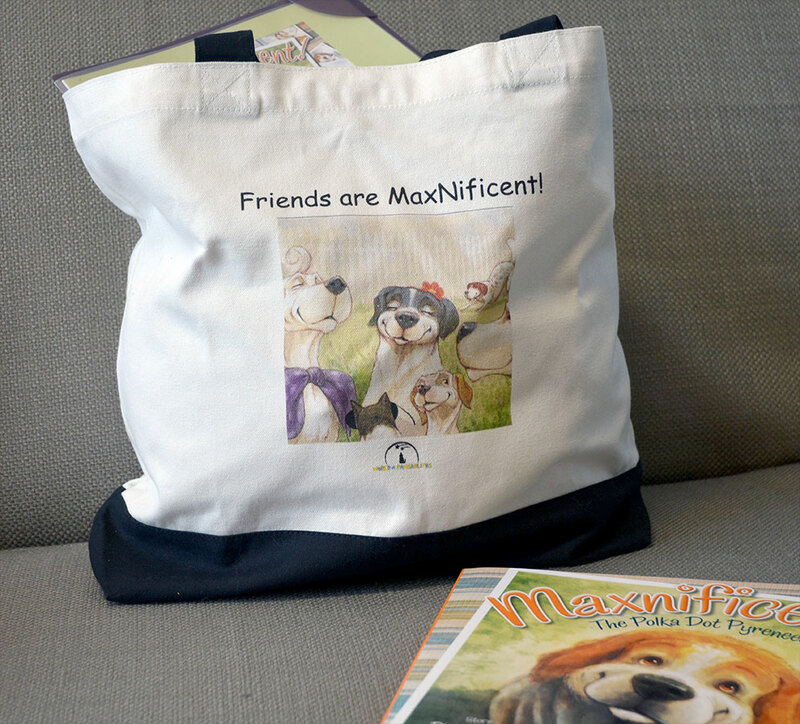 Large cotton canvas tote bag with pleated black fabric bottom. 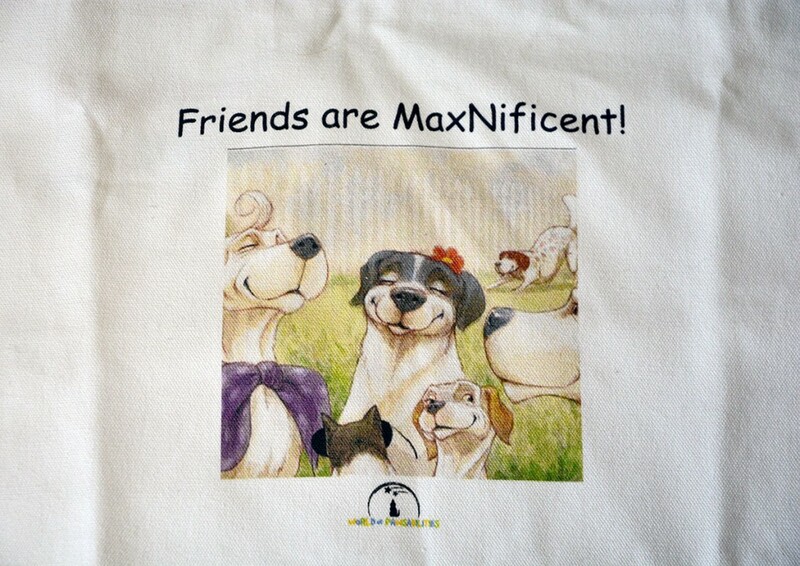 Imprinted with a favorite illustration from the book and reads “Friends are Maxnificent!”. Nick on The Amazing Max!